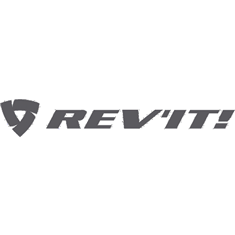 Rev'It's proprietary SeeSmart armour is nothing short of revolutionary. They're big words, but when you see how lightweight, flexible and unobtrusive these armour pads are, you'll immediately see what we mean. Our customers often ask us if "this jacket or these jeans can have armour added to them" while the SeeSmart armour is already installed in place. It's that subtle. In terms of flexibility it leaves the competition far behind, while its EN1621-1:2012 CE-Level 1 certification guarantees that these will protect you from impact in the event of a crash. This updated version is precurved for an even more ergonomic fit and can easily be added to any compatible Rev'It! jacket or jeans and serves as knee, elbow or shoulder armour.